Kent, 56, who is currently the supervisor of Child Welfare and Attendance and transportation and personnel, was unanimously elected Monday. He will replace Michael Doucet who will step down as superintendent in June after serving 20 years as superintendent and 38 years in education. “I feel like I have been going to school all my life,” Reed joked after the meeting. He was one of two applicants for the position. 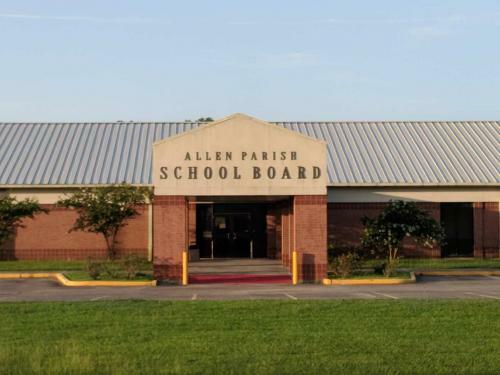 The other applicant was former Oberlin High School principal Larry Alexander, who currently works as a career and technical education director for the Lafayette Parish School System. 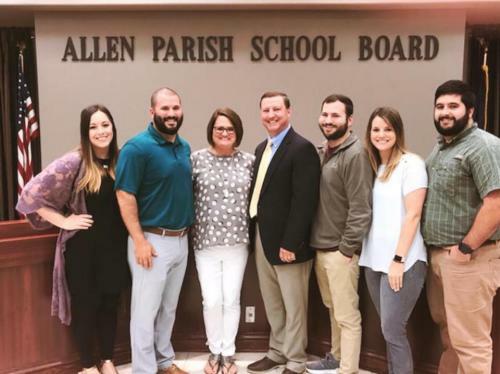 Mr. Reed has more than 23 years with the Allen Parish School system, including seven years with the School Board. He was a high school English teacher and coach for nine years; an assistant principal for eight years and high school principal for 10 years. He has also served as a career and technology supervisor. Mr. Reed said he appreciated the School Board’s support and is looking forward to working with each of the board members and moving the district forward. Among his biggest projects, Mr. Reed said he wants to see the rebuilding of the new Oakdale Elementary School finished and renovations begin at Kinder Elementary and High School. He also looks forward to working to recruit and hire good teachers for the next school year. School Board President Cathy Farris said she was impressed with both applicants and is looking forward to a smooth change in leadership. Doucet said Mr. Reed is an excellent choice and has worked along side him for a long time. “I know he will do a good job,” Doucet said. Student’s of the year for Allen Parish were recognized at the March School Board meeting. 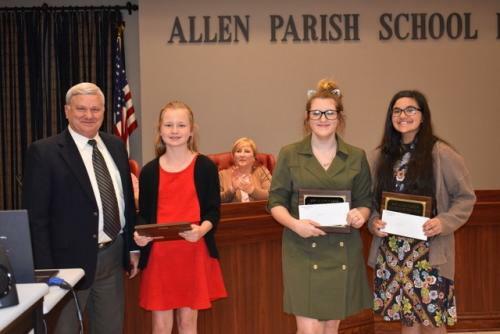 Left to right, Michael Doucet – Allen Parish Superintendent, 5th Grade Laynee Morrow – (Fairview High School), 12th Grade Melody Melder – (Elizabeth High School) and 8th Grade Abigail Serna – (Oakdale Middle School). 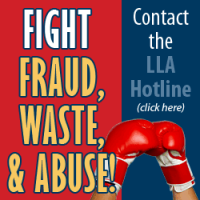 In the backgorund is Carolyn Manuel, school board member. A huge thank you goes to all the school selection committees. The students that were selected as the school winners were excellent candidates. The quality of the portfolios, as well as the courage, poise, and communicative talent exhibited by the students in their interviews, made the job of the parish selection committee very difficult. Each school’s Student of the Year are listed below.